Most people have probably never heard of Stanley Plotkin. 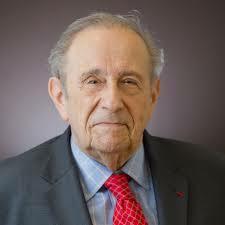 But they should know who he is because the 86-year-old physician, more than anyone in this era, has influenced the modern vaccine programme that affects virtually everyone on the globe today. Dr. Plotkin wrote the bible of the vaccine industry — Plotkin’s Vaccines — a text in its seventh printing which Bill Gates has lauded as an “indispensable guide to the enhancement of the well-being of our world.” Gilded with awards and celebrated by government, academia and industry alike, Plotkin, who is on the faculty of 14 different universities, is the mainstream media go-to resource on all things vaccine and an unrivalled public health hero. Perhaps the most horrifying yet riveting revelation in J.B. Handley’s new book about the autism epidemic, which is jammed full of eye-openers, is the monstrously sociopathic nature of this public health champion, exposed in a legal deposition undertaken earlier this year. In How to End the Autism Epidemic (Chelsea Green Publishing), Handley describes how Dr. Plotkin was called in as an expert witness in favour of forced vaccination in a high-profile legal dispute between a mother and father split on the decision to vaccinate their child. Aaron Siri, attorney for the mother opposed to her child’s vaccination in the case, questioned the doctor under oath in New Hope, Pennsylvania on January 11, 2018. Plotkin was clearly accustomed to softball questions. Certainly, he was not prepared for the eight-hour grilling he got by Siri, a UC Berkeley School of Law honors graduate and former clerk for the Israeli Supreme Court, versed in every nuance of the vaccine wars. I probably took as much satisfaction reading Handley’s synopsis of Siri’s masterfully conducted cross-examination of Plotkin as Handley did of reading the original 400-plus page transcript. “Mr. Siri exposed more truth about vaccines and the vaccine industry in one document than I’ve ever seen,” writes Handley. It is a damning indictment indeed. It wasn’t long into the questioning before Dr. Plotkin — apparently oblivious to his own gargantuan conflicts of interest — became irascible as Siri established that he was advocating that the child in question receive vaccines manufactured by four companies – Merck, GSK, Sanofi and Pfizer — from which Plotkin has personally received funds amounting to many millions over the years. Siri painstakingly questioned Dr. Plotkin who checked every box on Angell’s list, feebly answering ‘yes’ to each question, as Handley describes, making it “clear that Dr. Plotkin is the poster child for this phenomenon.” He is the embodiment of the corruption of medical science. It is worth buying and reading Handley’s book for this one chapter alone. Much more is revealed in Siri’s shredding of the Great Dr. Plotkin. Many vaccines in current use in infants, he confirmed under oath, have only been monitored for side effects for a few days – certainly not long enough to register immunological problems, he conceded. Trial data from vaccine after vaccine deliberately obscures side effects and inflates benefits, he acknowledged. Vaccine’s effects are weak and may last only a few years. Adverse events from vaccines are grossly underreported – perhaps by as much as 100-fold. And so on, and so on. Plotkin, who attested to his atheism, also revealed to the deposition his great distaste for religious belief and his personal objection to anyone’s right to refuse vaccination on religious grounds. Most revealingly, Siri established that the humanist doctor advocated for and actually experimented with his vaccine inventions on orphans, the mentally handicapped and babies of women in prison. “I think this shows you what the vaccine industry has always known: Vaccines are really dangerous,” writes Handley. “So, when you test them on the populations that are the most hidden from society, and have the least power to complain, you can bury any disasters. It’s profoundly depraved thinking.” Handley didn’t say so, but Plotkin was revealed as a living relic of hideous Nazi-style eugenics who also happens to be a founding father and current champion of the modern vaccine movement. The tale of Dr. Plotkin’s embarrassing deposition (he recused himself from being an expert witness in the case the following morning) is only a fraction of the exposé readers are treated to here. There are many Pharma parasites like Plotkin and whistle blowers too, whose stories the Pharma-controlled mainstream media has refused to tell. Handley tells them. His book is a tour de force, a succinct and engaging overview of the entire current nuclear debate about autism, and about vaccines generally. He answers the question public health won’t about why the incidence of autism brain damage has grown from one in 10,000 children in 1985 to one in 36 today, in tandem with growth of the vaccine schedule from three shots to 36 before school. Handley surveys the legal and political landscape, the corporate control of government, academia and media by old, polished “Tobacco Playbook” tactics, the corruption of science and most importantly perhaps, the dozens of new studies and research blacked out to the public. Handley includes excerpts of legal testimonies from two of the world’s leading experts in autism, Dr. Andrew Zimmerman and Dr. Richard Kelley. These pediatric neurologists from John Hopkins Kennedy Krieger Institute once testified against the link between vaccines and autism but have changed their beliefs based on new scientific evidence. They are set to testify this month in court on behalf of a vaccine-injured child that vaccines can and do induce brain damage including autism in a vulnerable subset of children. These adverse events are hardly “rare” and may, according to their testimony, account for up to half of the one in 36 children now affected by the disorder. These experts believe that children can and should be screened prior to vaccination to avoid such damage. A Stanford-educated economist by training with business acumen, Handley makes this complex science practical and highly readable for other laypeople. As a father of a teenage son with vaccine-induced autism and the founder of the autism charity Generation Rescue, he has the wisdom and compassion to make this science relevant – to bring home the full and devastating impact of the disorder on our society. This book ought to be required reading for every physician – those who have wittingly or unwittingly sustained the old paradigm that gave birth to the epidemic of autism that now affects one in 36 children. Especially it should be read by those functional and integrative MDs who claim to be concerned about root causes of disease and the impact of toxins on health. Those health professionals must join publicly to fight against the corruption that Handley so clearly illustrates to overturn that paradigm. Every Skeptic who pretends to know something about the science of vaccines should read this book to educate themselves about the demonstrated highly neurotoxic effects of aluminum and the dangers of hyperstimulating and activating the immune system. Most of all, it ought to be read by parents and parents-to-be who want to understand the sophisticated and aggressive marketing aimed at them as consumers of vaccines and who want to protect their children from those rapacious forces. 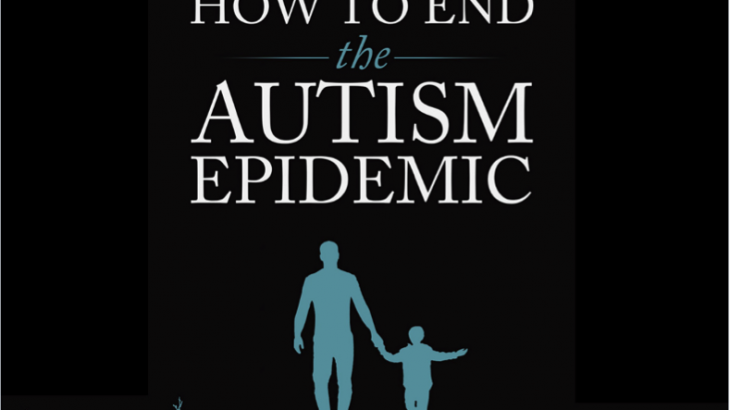 Put this book in the hands of people and it has the potential to do just what it promises on the cover and more: end the exploding autism epidemic, find help for those who have been so egregiously injured and protect the health and minds of future generations. ALUMINUM, AUTISM, VACCINES aluminum, autism, epidemic, J.B. Handley, vaccines. permalink.